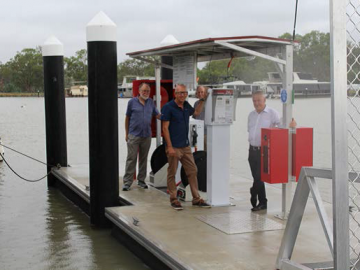 A new fuelling pontoon at Mannum Waters Marina and residential development has been launched by BT River Fuels in conjunction with Tallwood Pty Ltd. Brenton Mahoney from the BT River Fuels, David Potter from Tallwoods (Mannum Waters) and Mayor Dave Burgess launched the new facility on Friday 18 January 2019. Brenton Mahoney said “We are very pleased to install the new fuelling pontoon at Mannum Waters for all water vehicles including houseboats, power boats and jet skis. 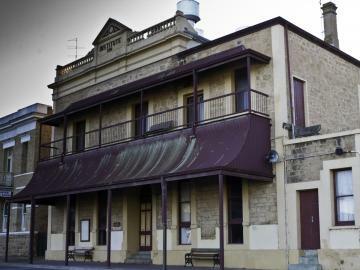 It is the only facility of its type in the area and is a great time saving facility”. The fuel station is equipped with a card only machine and provides unleaded and diesel fuels. 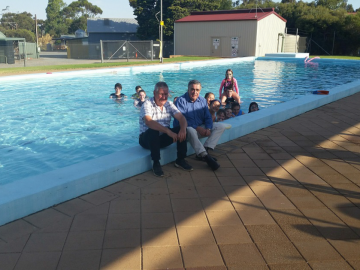 David Potter from Mannum Waters said “It was great to have BT River Fuels to install this much needed facility next to the Mannum Waters public boat ramp and only 2 kilometres from the Mannum township”. The Mayor Dave Burgess said “This is a much needed facility for houseboats, other boats and jet skis and it is great to see this facility installed and available. This new facility has already been well used. Well done to BT River Fuels and Mannum Waters for this facility.